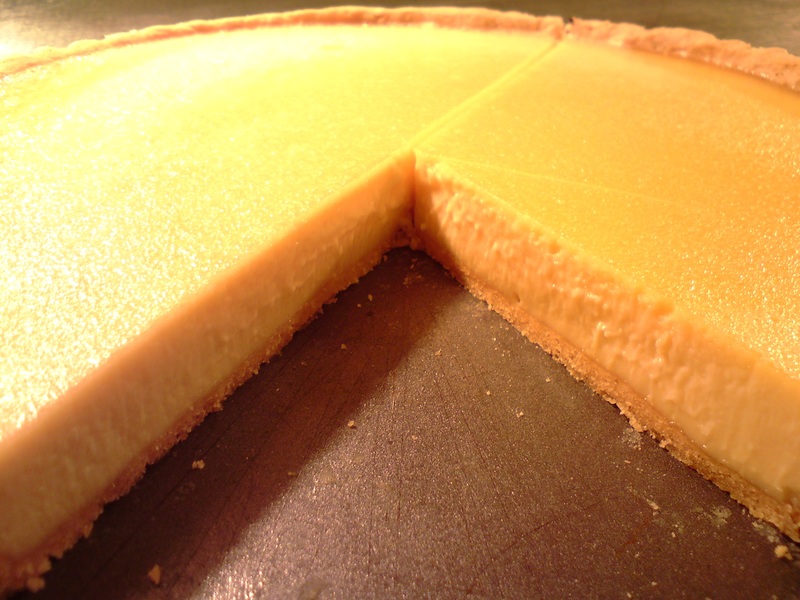 Any chef worthy of his name will have a lemon tart on his menu. Thats good, really good, a proper man’s dessert that. 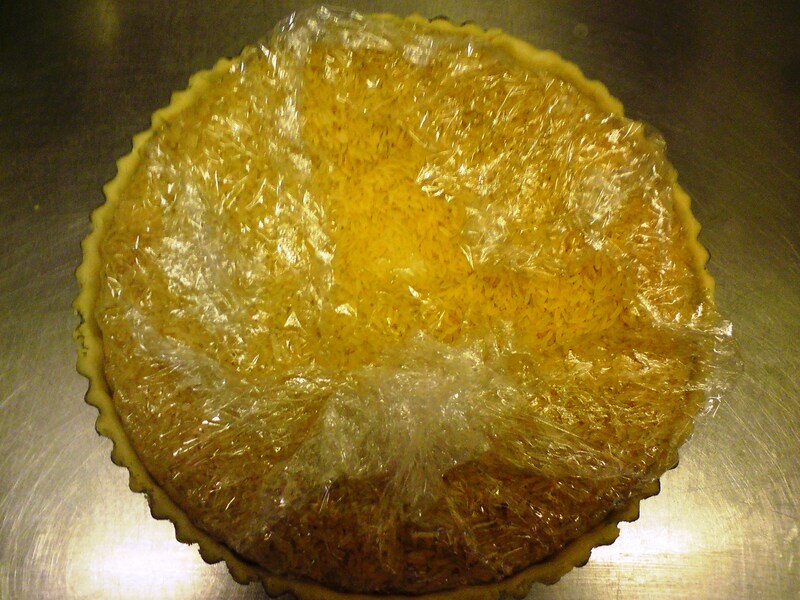 Enough said really, we’ve also illustrated how we line our tart cases as well as the process of making the filling, again this recipe still relies on the experience eye to judge if the filling is sufficiently cooked. 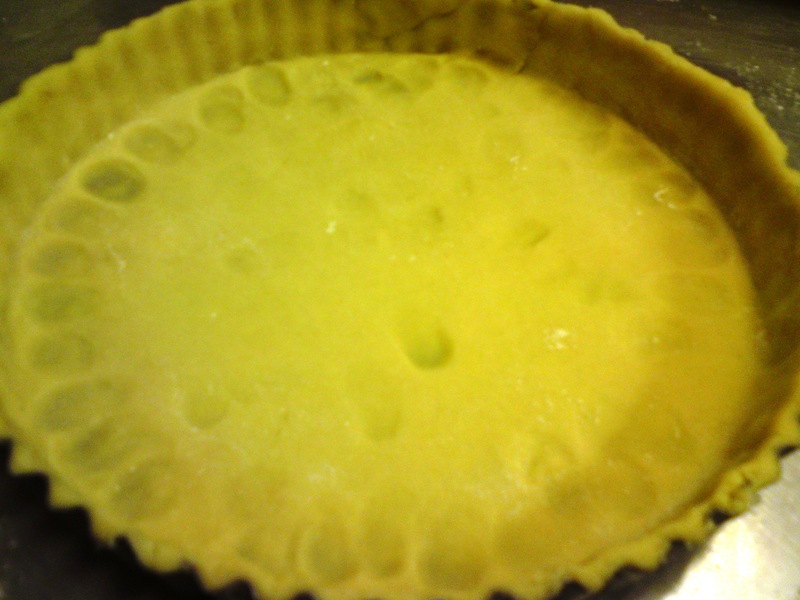 Please bear in mind that even once removed from the oven the tart will continue to cook, and if over cooked marginally on cooling the filling will crack. 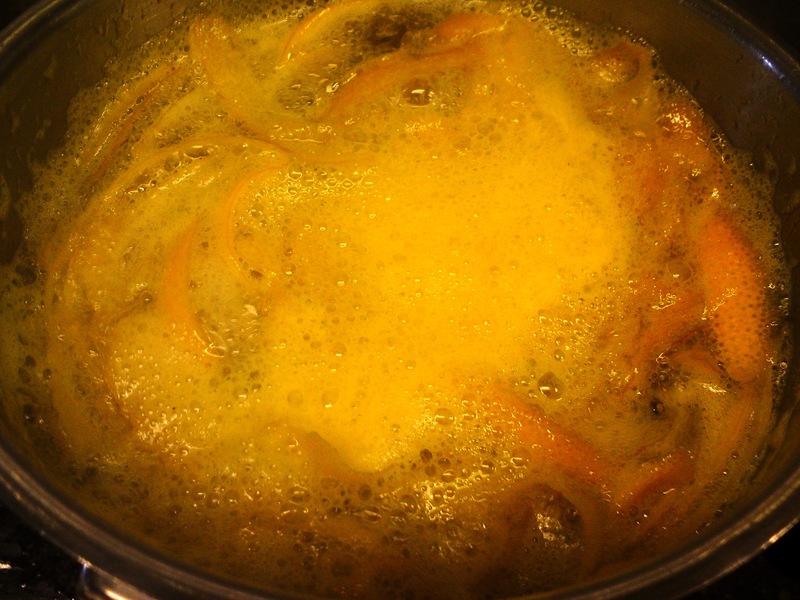 Combine the lemons, oranges and sugar. Place on a medium heat and bring to the boil. Skim off any foam as this will make the tart bitter with a pithy taste. 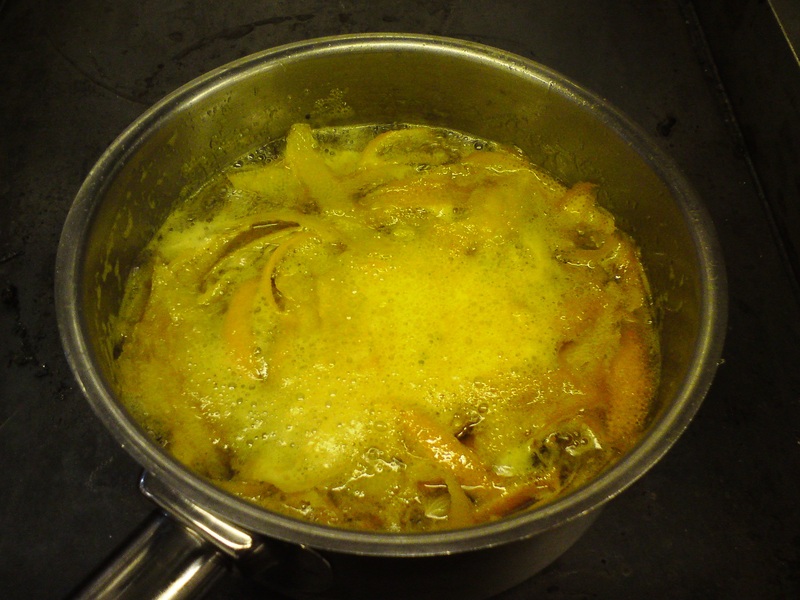 Simmer for 4-6 minutes ( the more you make this, the better you will be at judging this stage). 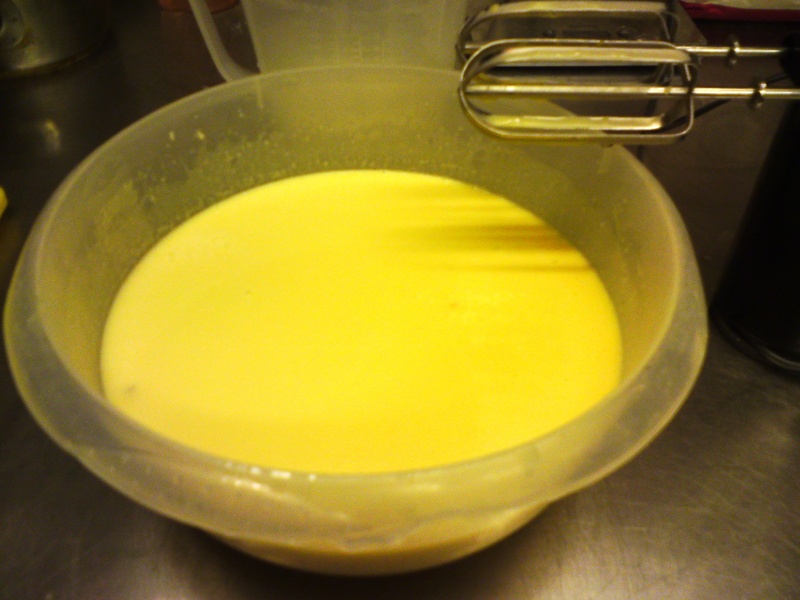 In the meantime, gently whisk the 12 eggs, but not enough to incorporate any air. 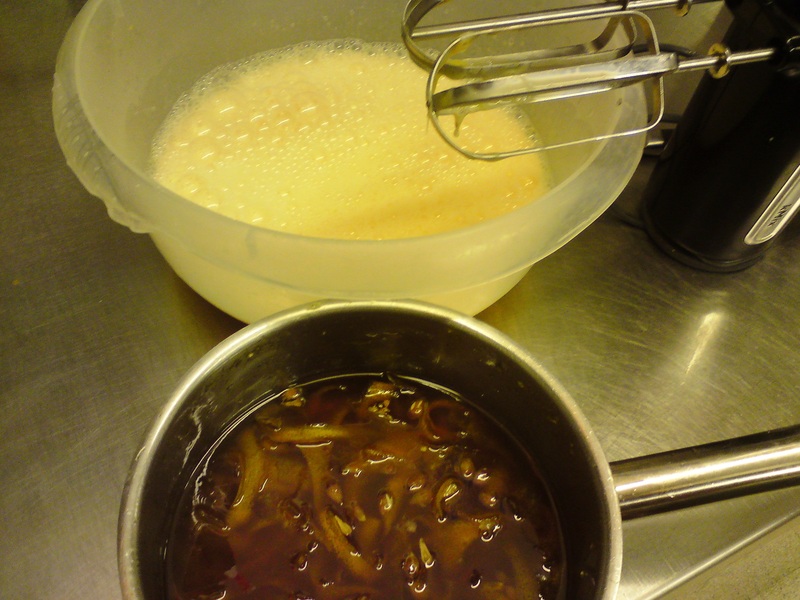 When the syrup has has reached the desired consistency pour straight on to the eggs and to continue to whisk on a slow speed. 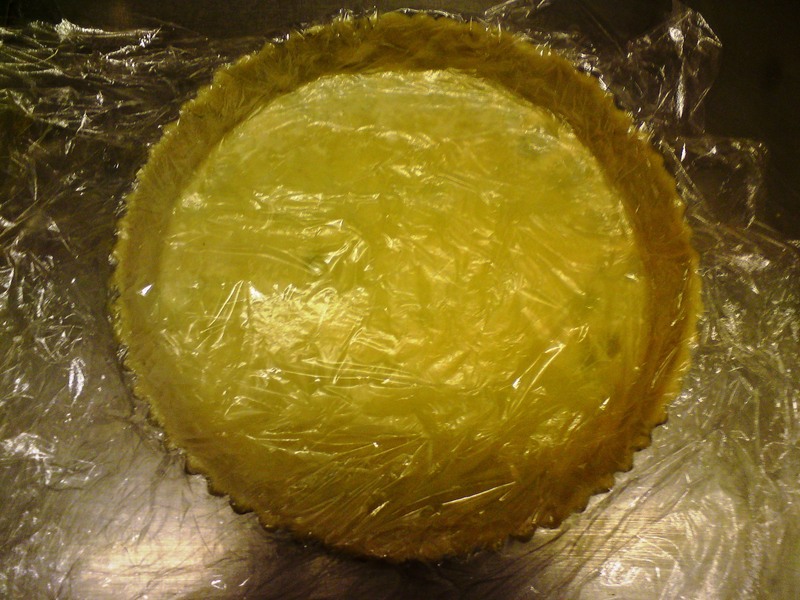 Add the cream and combine, cover the bowl with cling film and leave to infuse for 1 hour at room temperature. 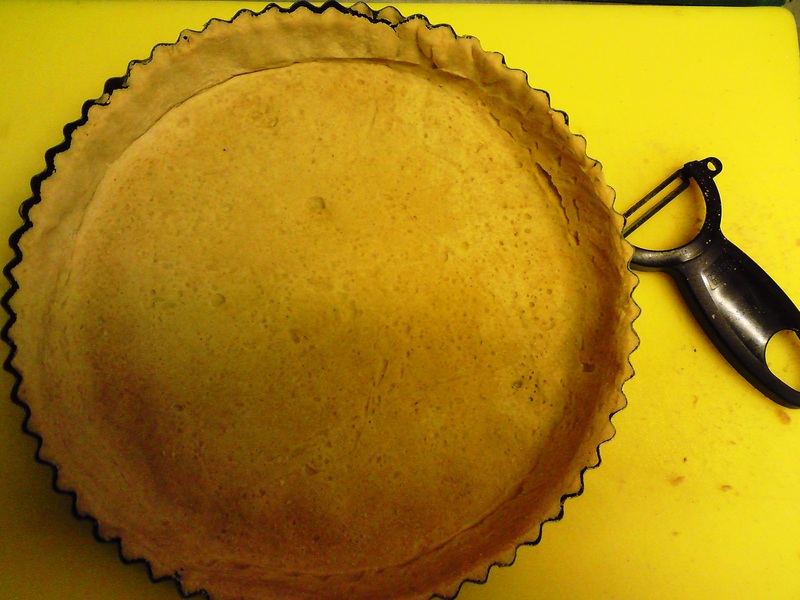 Pass mixture through a strainer and pour into a pre blind baked tart case. Bake @ 110°C checking after 20 minutes for even cooking, then for a further 10-15minutes. 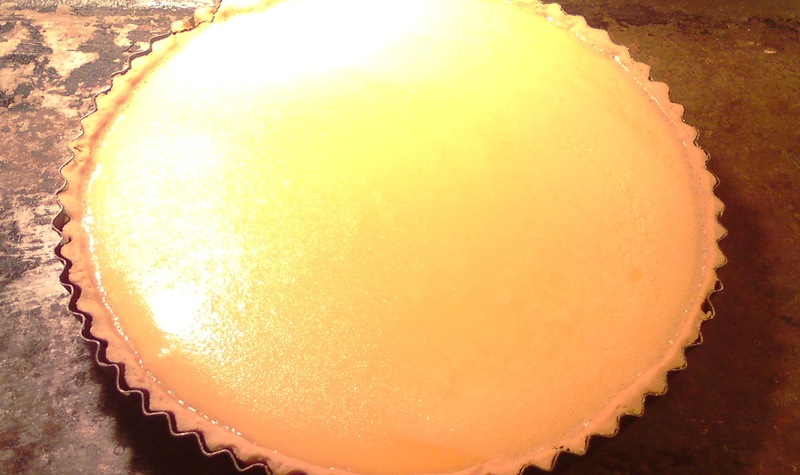 There should be a slight under done wobble in the center, any more than this and the tart will crack on cooling to room temperature. 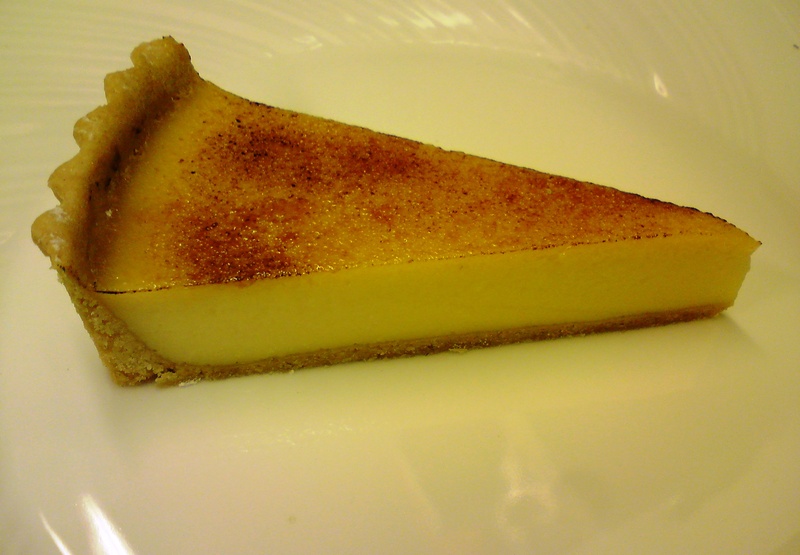 Mr White used to serve his lemon tart with a lemon souffle (in half a lemon), we think this is a touch complex and prefer something like clotted cream or fromage blanc. pictures look good but I will get involved and get this bad boy on as a special !!!!! Did I tell you we made the good food guide at 15 months old !!!!!! 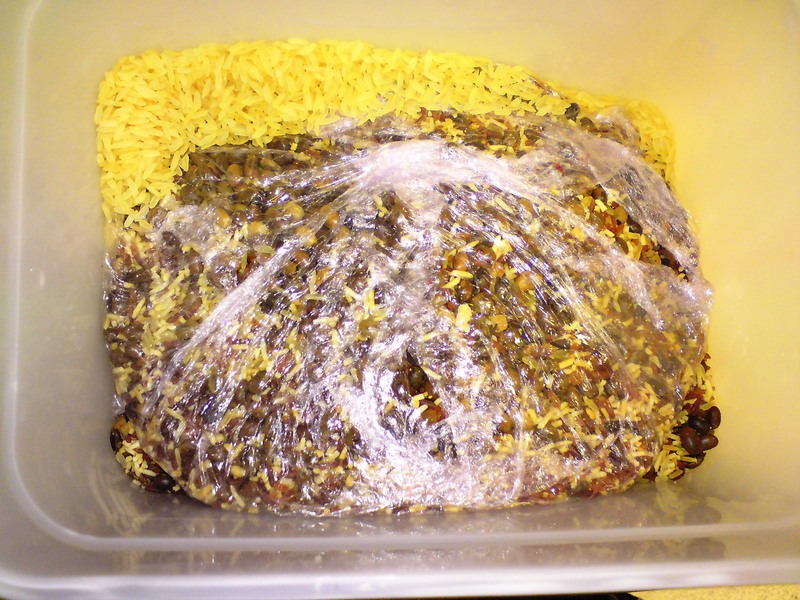 Congratulations on the Good Food Guide. 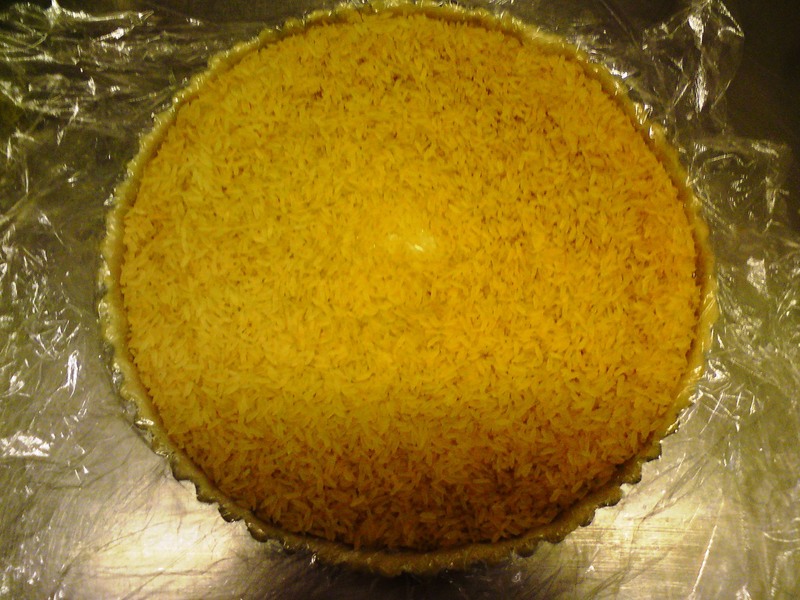 We think your customers will enjoy the lemon tart. But time will tell. Nice step by step photos.